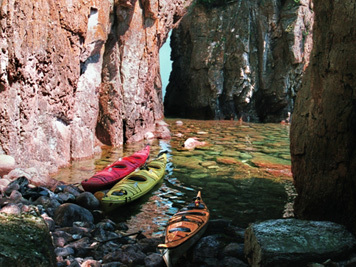 The view from atop Palisade Head with its beautiful shoreline features is quite breathtaking; the view from Lake Superior as seen from a kayak can be equally dramatic. 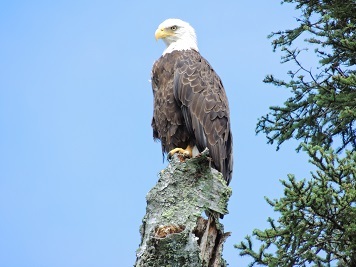 Palisade Head rises more than two hundred feet above the lake and is home to the peregrine falcon. 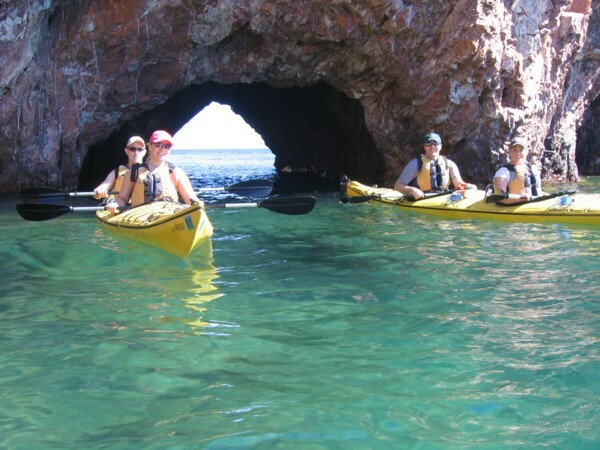 Paddle through beautiful sea caves, over gigantic boulders with a view relatively few have seen. Time: 9am-3pm Meet at Sawtooth Outfitters 20 minutes prior to the tour. 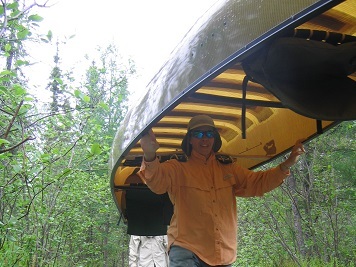 Cost – $120/person – includes round trip transportation from our shop, all equipment needed, and lunch. 4 People Minimum for a tour to go. 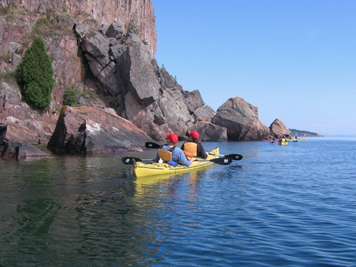 Wear your Swimsuit and bring a Towel – We wear wetsuits on our Lake Superior Tours (which we provide as required safety equipment) swimsuits or a light pair of shorts work well to wear under them.. 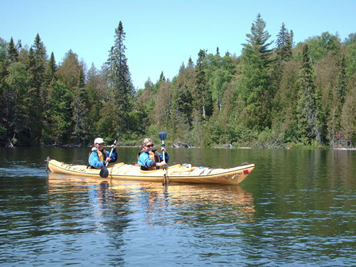 Shoes that can get wet – Your feet will get wet stepping in and out of the water to get in and out of the kayak. Set of warm clothes – Weather can change quickly, be prepared for cool weather with a warm insulating top and jacket. Water and snacks – Bring 2 bottles of water/person and snacks. Lunch which will include a sandwich and a bag of chips is provided. Camera and/or binoculars – We have dry bags for these items so they are safe to bring. 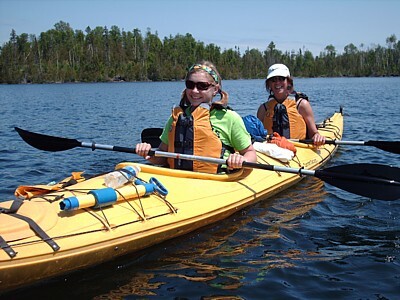 Sunscreen, sunglasses, and a hat – These items are a must have while on the water, even if it is cloudy. 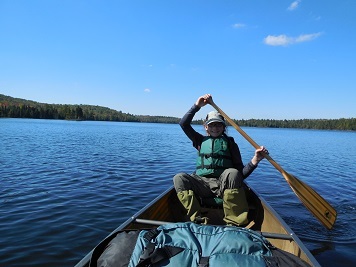 We will take you to a BWCA wilderness entry point where you will experience what it is like to portage from one lake to another and get a taste of what wilderness canoe travel is all about. This is one of our better moose sighting areas in the BWCAW. Swimsuit and Towel (optional)- Swimming is an option of the tour, come prepared if you want to take a dip. 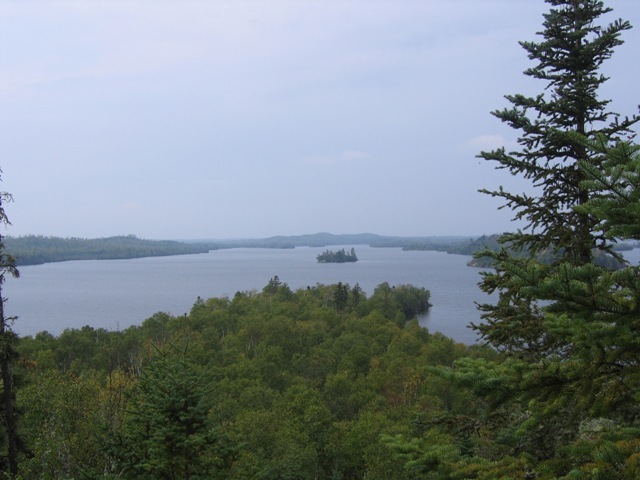 Brule Lake is one of the largest entirely non-motorized lakes in the Boundary Waters Canoe Area Wilderness. With it’s seemingly endless number of islands, bays and peninsulas, you’ll want to have a camera handy to capture the serene beauty of this dramatic landscape.